The information in the article is unfortunate, but true. Concerns were registered with the University administration during Lloyd's Dean's review, but nothing happened. The fact is that the University administration cared more about the fact that he could raise money and railroad through initiatives than whether he could effectively engage the faculty and staff or create a healthy, collegial working environment that could capitalize on the strengths of all of the faculty and staff rather than just his chosen few yes-people. When he left, the faculty sent a loud and clear message to the University administration that better collaborative leadership and communication was seriously needed, and the University responded by appointing the least capable candidate, who in only a few weeks showed that she could not communicate with the faculty or even understand basic University policies and procedures. When people raise objections about the poor leadership of a public-service organization and no one listens, why is anyone surprised that it winds up in the news media? As the search for a permanent dean continues, faculty sources have called out current and past administrators and are waiting to see if their voices will be heard. Alleged intimidation and favoritism have embittered faculty at the University of Minnesota’s School of Dentistry for years, interviews show. 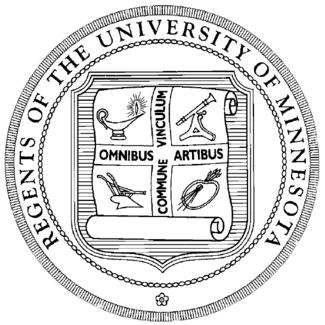 In extensive interviews with the Minnesota Daily, current and former faculty members alleged years of what they claim was oppressive leadership within the school. The concerns are ongoing. Personal relationships and favoritism continue to factor into administrative hiring decisions. Former Dean Patrick Lloyd’s autocratic decision-making and micromanagement alienated some faculty members. Fear of retribution suppressed disagreement and debate. Contradicting faculty and student input, University officials appointed Judith Buchanan — an administrator that Lloyd recruited and who came to the University in 2005 — as interim dean. The controversy intensified in early August when Buchanan announced she would appoint her husband to a leadership position in the school, raising concerns of nepotism. As the search for a permanent dean continues, many faculty members are clinging to hope that a new administration will reverse the climate they say permeated the school under Lloyd. In an email to some faculty, professor Muriel Bebeau criticized Buchanan for promoting her own husband. “The issue our department is facing is something worth fighting about,” Bebeau wrote in the email obtained by the Daily. If dentistry faculty members had their first choice, professor Mike Rohrer would be interim dean. The process of temporarily filling Lloyd’s position started in late May. Senior Vice President for Academic Affairs and Provost Tom Sullivan asked faculty, staff, students and alumni for input. When more than 90 faculty members voted for their favored candidates, many thought the results would be a deciding factor in the search. Rohrer came out on top, and a group of faculty members congratulated him on what they presumed to be his upcoming appointment. But without explanation, Judith Buchanan was named interim dean. She had placed last out of the four eligible faculty candidates and wasn’t one of the three choices students submitted to Sullivan in a separate vote. Sullivan said that ultimately he was required to listen to all stakeholders. The faculty’s vote was only one of many factors. But it’s not just the appointment process that frustrated some faculty members. Buchanan was often absent for travel and outside consulting work, said one clinical faculty member who requested confidentiality because of concerns of losing his job. Several professors, including Larson and Bebeau, said Buchanan changed curriculums without adequately consulting faculty. “The people that she works with most closely really didn’t support her as an idea for interim dean,” the clinical faculty member said. But the widespread fear was that Buchanan would continue the same purportedly repressive atmosphere many said existed under Lloyd, her predecessor. More than 100 dentistry school students and faculty members gathered in McNamara Alumni Center in June 2008 for the memorial service of a respected colleague who died of a heart attack. Dean Patrick Lloyd was not among them. Lloyd often clashed with Charlie Schachtele, a former associate dean, and at the request of Schachtele’s widow, Lloyd was asked not to attend. Throughout his seven-year tenure as dean, sources said Lloyd attempted to control every aspect of the school — from dictating course content to picking paint colors. People who spoke out against his vision often felt they risked retribution. Several faculty members said that when Lloyd was upset with employees in the school, he would sometimes call them into his office to scream and curse at them. The Daily repeatedly sought comment from Lloyd for this article. He responded with a letter through an attorney. Among his responses, Lloyd called one faculty member’s claim of being yelled at a “personal perception” that didn’t match his own recollection. If dentistry faculty members were so upset with the school’s leadership and direction, why didn’t top-level University officials step in? It’s unclear how many complaints made it to them. Employees said they thought anonymous reporting wouldn’t result in action and wouldn’t stay anonymous, raising concerns about the possibility of reprisal. The handful of complaints that did make it to Frank Cerra, Lloyd’s former supervisor, were evaluated and discussed with Lloyd. “Usually, we found the allegations to be unfounded or misunderstandings,” Cerra, former vice president for health sciences, wrote in an email. Cerra refused to elaborate in a follow-up phone interview if any of the investigations showed that faculty members’ allegations were founded. Although they only supervised him directly for seven months, the two administrators that currently oversee the dentistry dean said they didn’t hear any concerns until after Lloyd announced he was leaving. “Not once, not once in that time did I receive any complaint about Patrick Lloyd,” Provost Sullivan told the Daily. Aaron Friedman, who took over for Cerra in January, said he didn’t receive any complaints either. He said “it is impossible to believe” that seven years of complaints would fail to reach senior administrators like him. Four tenured dentistry professors, including Nelson Rhodus, met with Sullivan in June to address their concerns about Lloyd’s leadership style. Rhodus planned the meeting before Lloyd announced he was leaving, and kept it when the faculty heard of the dean’s departure. But Rhodus and his colleagues felt the opposite — it was their chance to insist that, in its search for the next dean, the administration use Lloyd’s leadership style as an example of what not to look for. For the school to get back on track and move forward, Rhodus said, selecting a markedly different dean would be crucial. Buchanan’s interim position, expected to last about a year, could begin a new era in the school. But one of her first acts may have marred her deanship from the start. During her second week, Buchanan announced in a dentistry school newsletter that she would promote her husband, Peter Berthold, to interim chairman of the Department of Primary Dental Care. Soon after Buchanan’s announcement, faculty liaisons Jill Stoltenberg and David Bereiter started hearing concerns from across the school. They received more than a dozen email or in-person complaints and met with faculty members, they said. They brought the objections to Buchanan and asked her to reconsider the decision. Bereiter, chairman of the school’s Faculty Consultative Committee, told Buchanan that promoting her husband could become her “legacy” as interim dean. Buchanan was surprised to hear that many considered the appointment problematic. When Bereiter and Stoltenberg left the meeting, “there was no assurance that anything was going to change,” Bereiter said. Buchanan and top administrators said Berthold’s managerial and accreditation experience warranted the post. Buchanan said he would not have received a pay raise. “There was not another person I felt comfortable with asking to lead as chair,” Buchanan said. Associate professor Steve Shuman balked at that explanation. “That’s the issue — comfortable,” he said. “What does she mean by comfortable? Top administrators questioned the timing of the announcement, which came before a key step: The nepotism management plan for Buchanan’s promotion of her husband had not yet been established. Sullivan also called the move “premature,” but said Buchanan conformed with University nepotism policies as she worked to finalize the appointment. When Sullivan learned of Buchanan’s plans to promote her husband — nearly two weeks after she told faculty — he halted the appointment and called a meeting. The resolution was to have four division heads, including Berthold, lead the department to avoid giving Berthold sole decision-making power. The nepotism management plan was signed more than two weeks after Berthold began his new leadership position. Under the plan, administrators meet to discuss his activities twice a month. To bypass his wife, Berthold reports directly to AHC Vice President Friedman. Berthold declined multiple requests for comment. About 40 faculty members gathered for an emergency meeting Sept. 27 to discuss concerns about Buchanan, her appointments, faculty governance and the permanent dean search. Faculty members still had concerns about the four-person committee leading the Primary Dental Care department. They asked that faculty leaders bring their concerns to Buchanan directly a second time. In mid-October, faculty leaders from multiple departments told Buchanan that the committee was a departure from the school’s constitution, which states that a “chairperson” will lead each department. “It’s a person — it’s not a group, it’s not plural,” Bereiter said. Technically, the link between Buchanan and Berthold has been cut, but he still has personal access to the dean that “could be influential in the running of the department,” said Stoltenberg, secretary of the faculty’s council. Buchanan listened and responded civilly to faculty points at the meeting, Stoltenberg said. But when Buchanan left, faculty leaders still had no idea if anything would change. On Sept. 1, Judith Buchanan forwarded an email she had received from University faculty to Patrick Lloyd at Ohio State. She shared with him faculty concerns about the Department of Primary Dental Care’s committee leadership. The faculty email was originally sent to Buchanan and top administrators. Above faculty criticisms in the email, Buchanan wrote a personal note to Lloyd. As they raise their concerns, faculty members wonder if anything will change under Buchanan, and eventually with the selection of a new dean. Buchanan told the Daily she’s trying to set a new tone. “We are making an effort to do things a bit differently, just because I’m a different person than Dean Lloyd was,” Buchanan said in an interview two months after she took office. “He was a bit of a micromanager,” she said. Faculty members hope for “a true partnership” with the interim dean, professor Bereiter said. So far, it’s unclear if Buchanan will act on their concerns. Faculty members are rallying their ideas for the future of the School of Dentistry and say strengthening their role in governance is key. They have grown weary of being ignored, professor Thomas Larson said, and the administration must do more than “pay lip service” to the faculty. Although Duke and I are on opposite sides of the fence politically, he is a decent and knowledgeable person. The powers of redistricting were expressly granted to the Legislative body. The Governor, nor the courts, are given a role. As we see, there are exceptions to the power of the Governor to veto as they “relate to the business… of the Legislature.” It is my position that the MN Constitution has made redistricting the “business” of the Legislature. Need an Academic Health Center? Professor Cramer now welcomed Professors Lytle, Oakes, and Weckwerth to the meeting and turned to Professor Campbell, chair of the AHC Faculty Consultative Committee (AHC FCC), to lead a discussion of the report from the AHC FCC. The report follows, between the * * *. 1. What recommendations in the report does the committee endorse without change? 2. What recommendations does the AHC FCC believe are ill advised? 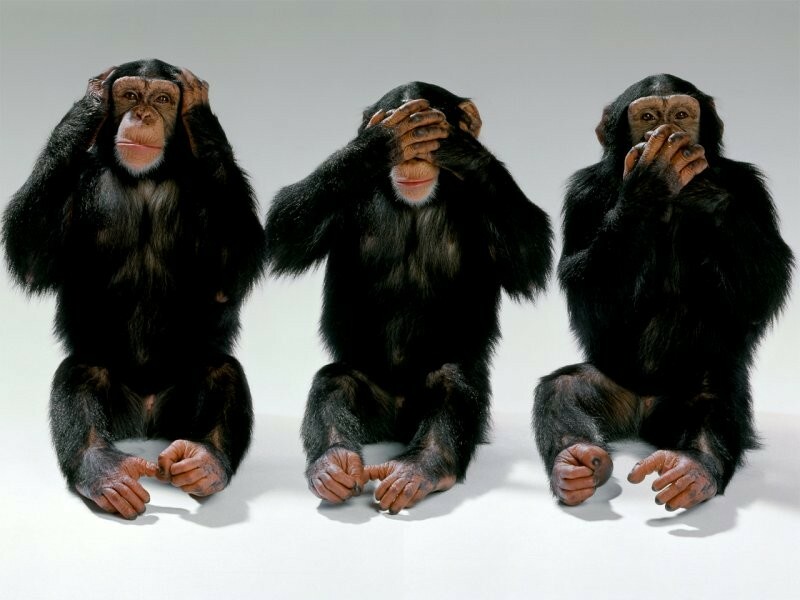 What rationale led the AHC FCC to a conclusion different from that of the review committee? 3. What recommendations would benefit from specific modifications; what are those modifications, and what motivated the committee’s thinking in suggesting any changes? 4. What issues are not addressed in the report that the AHC FCC deems sufficiently important to warrant additional scrutiny, either prior to finalization of the report or at some later stage? Members of AHC FCC are Colin Campbell, chair, Susan Berry, Cynthia Gross, Leslie Lytle, Paul Olin, Ned Patterson, and Cheryl Robertson. Background: Earlier this year, President Bruininks and Provost Sullivan charged an Executive Steering Committee with conducting a comprehensive review of the AHC. The purpose of the review was to examine and define the appropriate role, mission, and value of the AHC and to make recommendations on how the AHC should be best organized in order to ensure that academic programs are properly supported, that there is no duplication of administrative services, and to make certain that interdisciplinary centers are appropriately aligned. • There was widespread agreement with the Executive Steering Committee’s Recommendation 1 that the AHC should continue to serve as the convening academic and administrative unit for the schools of Dentistry, Medicine, Nursing, Pharmacy, Public Health, and Veterinary Medicine. • There was general agreement with Recommendation 2, the AHC should report to a Vice President for Health Sciences reporting to the President, and that the Vice President should focus on interdisciplinary education, research and clinical programs. However, the report lacks specificity regarding these domains, and did not propose a vision to direct defining its boundaries. • The response to Recommendation 3 was mixed. With the exception of the Medical School, there was agreement that the Medical School Dean should report to the Provost on broad academic issues and not directly to the President. As noted above, the interface between academics and clinical education and research has not been defined. • The AHC FCC found widespread support for Recommendation 4, to split the position of Vice President for Health Sciences and Dean of the Medical School into distinct and separate positions. More outside-the-box thought should be given to looking at how to handle these positions such as the Medical School FAC’s suggestion to have the Medical School Dean also serve as the Vice President for Medical Services (VPMS), and have a separate Vice President for Health Sciences (VPHS) position focusing on interdisciplinary, interprofessional and intercollegiate programs that cut across the AHC colleges and other University collegiate units engaged in health science education and research. [See attached letter from the Medical School Faculty Advisory Council (FAC)]. • Recommendation 5 was generally viewed as acceptable. • Recommendation 6 was generally viewed as desirable. • The AHC FCC found widespread skepticism and unmet expectations regarding Recommendations 7 and 8. The report did not go far enough in sharpening the focus or in leveraging enterprise resources. The report calls for continuation of centers that are “essential and unique” and services/functions that are “critical and unique” to the AHC, but supports the status quo without delineating a framework for distinguishing what is essential, critical and unique. • The Executive Steering Group’s charge called for broad representation from AHC staff, faculty and University leaders on each of the sub-teams to ensure that there is a breadth of expertise represented. However, despite requests by both the AHC FCC and the FCC, there was inadequate non-administrative faculty representation on the sub-teams. As a result, inadequate rank and file representation served to undermine the credibility of the report. 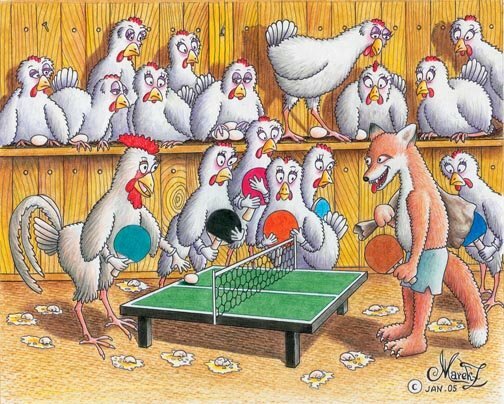 • The Executive Steering Committee’s recommendations were unremarkable. The report lacked vision and failed to put forward a plan to make the AHC better. • The report was vague, ambiguous and lacked transparency. For example, it lacked financial data to support its recommendations. In addition to finances, the report did not fully address accountability, oversight or governance matters. With regard to the FCC’s request to identify recommendations that are ill-advised or should be modified, it must be acknowledged that there was near-unanimous support for a focused AHC (Recommendations 1, 2 and 5) and separating the Dean of the Medical School from the AHC Vice President for Health Sciences (Recommendation 4). Recommendations 3 and 4 needed greater specificity of scope and rationale to guide implementation. With regard to Recommendations 7 and 8, the AHC FCC would like an independent body, including representation of faculty from all AHC colleges and external experts, to re-evaluate the findings and recommendations of the sub-teams given a significant number of their recommendations were overturned by the Executive Steering Committee without compelling rationale and supporting data. As previously noted, the credibility of the report was undermined by the narrow composition of the Executive Steering Committee. This re-review should begin by establishing a framework for assessing what is unique, critical and essential in order to optimally leverage enterprise-wide resources with the flexibility to meet unit-specific unique needs. What was not addressed in the report? The report was Twin Cities-focused, and did not consider the coordinate campuses, although at least three AHC schools have major divisions at Duluth and Rochester. Finances and the size of the infrastructure of the AHC were not adequately addressed. Data on the size, organization and functions of the AHC, separate from its colleges and centers, was omitted as well. In conclusion, the AHC FCC as a group, and, on behalf of the collective faculty, there were significant concerns about the report. Most notably, we question the degree to which representation of the faculty was achieved. We also felt that the report lacked details that would address accountability, oversight, and governance. The response to our solicitation of comments also reflected the divide between the Medical School and the other AHC schools about the role of the Medical School Dean. The AHC FCC agrees that the AHC should continue to serve the health science schools, and the Vice President for Health Sciences should be a separate position from the Dean of the Medical School. The report did not delve deep enough. There needs to be a more in-depth analysis of the current AHC structure and finances evaluated by an independent committee that includes direct input from more rank and file AHC faculty and staff. This report provided recommendations that were broad, non-specific and open to interpretation, and presented the status quo as acceptable while failing to present data to support that conclusion. We would like to see a report that puts forth a vision for how the AHC can best serve the University community in years to come. Professor Campbell said that there was broad consensus on the AHC FCC on many of the items in the report, including that the AHC should exist, at least in its ideal form, that there should be a vice president for the AHC, and that the positions of Dean of the Medical School and vice president should be split. The AHC FCC also found much of the report too vague. Except for those individuals from the Medical School, the AHC FCC did not believe the Dean of the Medical School should report to the President, but should report to the Provost. The AHC FCC viewed skeptically the Executive Steering Committee report intimation that everything is working fine and there are no redundancies; there were few references to support the claim. To many, the report represented an opportunity to sketch out a vision for the AHC, but it did not do so. There is also a concern that the report will not have as much impact as it might have because there were so few (one) faculty members involved. They are also concerned, Professor Campbell concluded, that many faculty members in the AHC will not respond to the report, which should not be interpreted to mean that they are happy with the way things are, but rather reflects a perception that their opinions will have no impact on the process, which is regarded as a fait accompli. Professor Cramer said he has noticed that the College of Liberal Arts, the College of Science and Engineering, and the College of Education and Human Development all have large numbers of undergraduates; perhaps they should be grouped as Colleges with Large Undergraduate Majors and Programs, or CLUMP, and CLUMP should be provided its own administrative structure to provide and coordinate services. The implementation of the CLUMP structure might be revenue-neutral from a University perspective, or then again it might not be--certainly staff in CLUMP colleges would probably appreciate having their own support structure, but, as matters stand they don't have that (instead they use central University services, e.g., room scheduling). Does there really need to be a wrapper around the six colleges called the AHC? Professor Campbell said that he could not respond effectively because he is not a clinician, and it is clinical activity that binds the AHC together. Professor Cramer said that there is no CLUMP office of student services, instead there is a University-wide office, even though it serves primarily CLUMP colleges; why cannot there be an office of clinical care that serves the entire University? It was noted that some AHC colleges have negligible clinical activity and some non-AHC units have substantial clinical activity, making the clinical activity justification seem weak. Professor Bitterman said that two points should be clarified with regard to any perceived discrepancies between the Medical School faculty view and the rest of the AHC colleges and schools. First, the Medical School Faculty Advisory Committee opinion (letter sent to the AHC FCC to be included in today's report to the FCC) is in close accord with the views expressed by the other AHC colleges, that deans should not become middle managers reporting to a vice president when, in the view of the faculty, they should be disciplinary leaders and run their colleges. Second, to address the unique challenges posed by the position of UMP in the University reporting structure, the Medical School FAC suggests a very different type of combined Dean-VP position than the one discussed in the AHC Executive Steering Committee Report. Their suggestion is that the Dean of the Medical School also be the Vice President for Medical Services. In that capacity, the Dean-Vice President for Medical Services would report to the President only for matters related to the practice of medicine by UMP. This is a nearly-$1-billion-dollar-per-year activity that includes complex contractual relationships with private health care corporations, creating a significant risk that it could stray from the core University academic mission without direct input and guidance from the President. For all functions other than the practice of medicine, the Dean of the Medical School would be on par with all other deans and report to the Provost. This would focus the Dean of the Medical School only on the Medical School and practice plan, and not on the functions of any other college. Professor Pacala said that his concern is that there are already enough problems because the Medical School and UMP are run separately; if a separate reporting structure is created, that would further complicate coordination and synergy of the clinical mission of UMP and the academic mission of the Medical School. What has not come up, Professor Ziegler said, is the responsibility the AHC has for interprofessional education between the AHC schools. He said he does not know how far that has progressed, but it was to be explored and is a reason to retain the AHC. Professor Cramer observed that there are many intercollegiate programs at the University that do not have a special wrapper like the AHC. But they are problematic to set up with clinical settings, Professor Ziegler said, and the AHC umbrella makes it easier to do so—especially if the program will be out in the state. Professor Luepker said the report: (1) appears to be heavily driven by the word "clinical," but there are many people at the University who deliver clinical services but are not part of the AHC; and (2) of the AHC schools that are pulled together under that umbrella, his offers no clinical services and the paid clinical activity in Nursing and Pharmacy is trivial, the Committee just learned from Ms. Nunnally, so is the AHC limited to six schools, three of which do not have a clinical practice? With respect to who reports to whom, Professor Luepker said, deans report to the Provost, but for clinical activities they report to the Vice President for the AHC. If a college has no clinical activity, should it report only to the Provost? There are universities with health science schools but without an AHC and the schools/departments take care of clinical imperatives. He said he did not want the AHC to be driven only by clinical imperatives. Professor Ben-Ner asked about the linkages among clinical activities across Dentistry, Veterinary Medicine, Nursing, and so on; there are also schools that have professional degree programs that it was not found necessary to connect together for programmatic or financial reasons. Professor Lytle said that in the School of Public Health, their interdisciplinary work often extends far beyond the AHC. Administrative help from the AHC is not often required for the interdisciplinary work in which many faculty members in Public Health are involved. All of these comments, Professor Campbell said, are being made because there was no vision in the report; it was very pedestrian and contained nothing about what should be done. It is a lost opportunity. That is what he has heard over and over, Professor Bitterman agreed. One small counterweight, Professor Chomsky said, is that there has long been discussion about how interdisciplinary efforts do not work well all around the University; this report could have been an opportunity to improve that situation. She said she did not know if the answer is to get rid of the AHC cluster. Professor Chomsky asked about the AHC FCC report. In the case of recommendation three, it appears to be the Medical School versus everyone else. That division warrants more discussion. If there is no body to engage in "visioning," and given the criticisms of the report about vagueness, lack of faculty participation, and lack of specificity, should one outgrowth of this discussion be a recommendation for involving more faculty members in the process? Faculty apathy is not unique to the AHC, Professor Cramer said. Speaking more to the point of shared identity, he noted that there were eight faculty members from AHC colleges present at this meeting; he asked them how they respond when asked by people in the supermarket what they do: Do they say they are a professor in the AHC or a professor in, for example, the Medical School? The AHC is supposed to be a brand that has value. None of the eight said that they would identify themselves as being "in the AHC" as opposed to their college. Professor Pacala said he would identify himself as a professor in the Medical School. 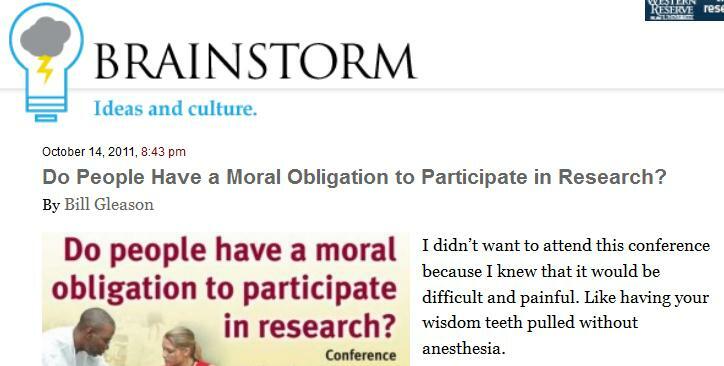 There exists a curious disconnect here: He recently attended a national conference on interprofessional education and the University of Minnesota was the "rock star" in the room, seen as the furthest along in developing it. Relatively speaking, the AHC is doing well; on an absolute scale, it is doing poorly. The potential of the AHC in interprofessional education is not being realized and there are few programs run or sponsored by the AHC. And some faculty members are very rigid, Professor Weckwerth observed. 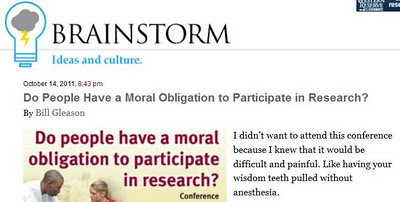 In some cases, Professor Pacala agreed, but he said he does some interprofessional education in spite of the AHC. There was a local conference on how the AHC could promote interprofessional education; he said then that what is needed is a common calendar and decent room scheduling. Neither has happened. Instead, he must call colleagues in the School of Nursing and the School of Public Health to work out times when an interprofessional class might be offered. They wanted a hard look in the mirror with this report and they didn't get one, Professor Pacala concluded. Professor Ben-Ner said that it's not possible to control the many units and departments of the University directly from the center, so there is a need for intermediate structures. Colleges are one way to decentralize, but those may also be too many. Structures like the AHC may be the answer, but it's not an obvious one (the University experimented with provostal areas for health, arts and sciences, and the professions in the 1990s). He said he did not believe the re-visioning of the AHC should be from the inside; it should be done externally, from above. It is very difficult to look beyond one's own horizon. He said he had no view about how an AHC might be structured—perhaps initially there were synergies that may not be present now. He suggested there could be opportunities for interprofessional and interdisciplinary synergies and cost savings from reconfiguration of the University collegiate structure and reorganization, something the current University administration is considering already. Professor Cramer agreed that the report seemed inward-looking even though the Executive Steering Committee included two vice presidents from outside the AHC. The report does not reflect the outside looking in, he agreed. Professor VandenBosch noted that Professor Pacala had commented that classroom scheduling does not work—but there is an AHC office of classroom management, as was discussed earlier in the consideration of AHC finances. This raises questions of why AHC classrooms are not managed by the central Office of Classroom Management, and whether central scheduling might be more efficient. As apparently the scheduling of AHC classrooms is not effective currently, she asked? Ask any professor, Professor Pacala responded. Professor VandenBosch said she would like to hear more about how AHC colleges related to the non-AHC colleges. Not all clinical activities are in the AHC, she also observed, and AHC colleges interact with other colleges in research and teaching, as well. She said she would like to hear about the charge and the committee’s activities from the faculty member who served on the Executive Steering Committee—Professor Oakes. Professor Oakes reported that the gist of the charge to the Executive Steering Committee was to provide the new president with a richer understanding of the AHC and how it is integrated, or not, with the rest of the University. The group met many times, and like all committees, it aimed for a horse and got a camel; committee work is about compromise and, for better or worse, the products of committees are typically compromised products. Regardless, those who drafted the report view this comment period as absolutely critical. Dr. Oakes applauded the AHC FCC for having done its job and he believed that this Committee (the FCC) is correct to consider the report at its own level. From his perspective, as an AHC professor and former member of this Committee, the elephant in the room is the question, "to what extent does the AHC help the University versus the University helping the AHC?" Are they going together or apart? What the President needs is an understanding of what the vision of the AHC is and whether or not it fits with the University. Professor Luepker tapped a nerve: When people say "clinical," non-clinical people shudder because lives are at stake, but that should not be used to dissuade serious reconsideration of the AHC structure. The big issue on the campus, Professor Oakes continued, is the Washington Avenue moat, that physical and metaphorical divide that seems to create two universities from one. There appears to be a lot of lost collaborative opportunity created by the current structures of the AHC. Professor Oakes wondered how the moat could be drained and increased efficiencies exploited. Those comments are not in the report, Professor Bitterman observed, and if they had been, the report would have been better received. How to make the University better is nowhere in the report nor are his insights, Professor Bitterman told Professor Oakes. This was an opportunity to get talent together to make the life and health sciences at the University better for its students and faculty, and he objected to the absence of vision, creativity, innovation, and information. This represents a missed opportunity. The final AHC Executive Steering Committee Report as written would be unscored in an NIH study section—or "not recommended for further consideration, streamlined." It was a committee of people who did their best, Professor Oakes said, and he expressed the hope that the Committee would pursue vigorously the topics FCC has raised. That is why the comment period is so important. What are the obstacles to addressing Professor Bitterman's points, Professor VandenBosch asked? 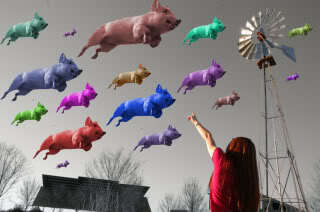 It is difficult for any group to look at itself, Professor Oakes said. A self-report is important, but an external review is also always needed; there needs to be external peer review. Professor Cramer is correct, Professor Oakes said: Among others, there were vice presidents with a University perspective on the Executive Steering Committee. And the group also included some very smart people who worked very hard to take a fresh look at things. But the basic challenge is that self-assessment is hard to do. An outside assessment is typically needed, he emphasized. Professor Bearinger said she agreed with Professors Bitterman and Luepker. She is in three of the six schools and would not identify herself as a professor in the AHC, but rather name the three schools. When Senior Vice President Cerra had an AHC-level meeting to announce that the positions of dean and vice president would be joined, it was talked about as a temporary arrangement. At the meeting, one person asked if any other dean could be the vice president; Dr. Cerra's answer was that any dean who could handle the clinical enterprise could take the position. That told the story, she said. When one looks at the dollars, clinical practice is a Medical School issue—and the tail should not be wagging the dog. When she looks at the list of services provided by the AHC (reviewed earlier in the meeting), where they are going is disproportional to the pie chart entries (alos provided earlier in the meeting) with the vast majority servicing the Medical School. If the services provided to the Medical School by the AHC were moved under the Medical School umbrella, what would remain? If there is to be an AHC, one should ask what should be remain in the AHC and what could/should be provided by central administration. Professors Bitterman and Oakes addressed a more philosophical point about the AHC, Professor Cramer said, while Professor Bearinger spoke to a more technical point about the AHC budget. He said he believes the services of AHC do need to be offered, and that if there are savings to be achieved, it is likely at the level of supervision, not of frontline workers. Professor Bitterman agreed; "we need doers and the financial question is about the number of watchers." Professor Bearinger said she has been involved in interdisciplinary education for the past two decades and, relative to the support she has received has come from Vice President Mulcahy and from the Graduate School, the AHC provided very little. Professor Luepker said there are a couple of elephants in the room. One is the lack of vision on how to make the AHC better; on that point, there is nothing there. He also had an "aha" moment during the discussion with Vice President Friedman and Ms. Nunnally earlier in the meeting: Why was the AHC bureaucracy built? Not for his school. It is for the $200 million in centers it oversees. There is an infrastructure there, with good people in it, but it is protecting itself. Professor Oakes said he chaired the subcommittee on centers; by and large, the centers found little benefit to the AHC umbrella per se. But Ms. Nunnally said that is why the AHC is needed, Professor Luepker recalled—but the Cancer Center has its own human resources, public relations, and information technology staff. Professor Oakes said he interviewed every center director and, if he recalled correctly, only one indicated they could not move from the AHC to the university level. When the AHC was created, Professor Weckwerth recalled, the issue was the hospital. Its time is now past. And the AHC could lose its shirt if it were linked to the hospital again. Professor Ziegler noted that the Medical School has an accreditation review in March and that in a mock review, it was said that the relationship between the dean and vice president needs to be clarified. Professor Chomsky said there is an odd disjuncture between the conversation at this meeting and the first bullet point in the AHC FCC report about a consensus view that the AHC should continue. Professor Campbell said that those on the AHC FCC have asked what the AHC aspired to do and how much it would cost. The broad perception is that it costs too much and does too little. Professor Cramer said that he thinks it is critically important that FCC communicate to the President its thoughts on the AHC report, but that rather than simply sending a memo, it would be good to learn from the President what he might find most useful in terms of formal or informal input. He suggested that he and Professor Jacobs would talk with President Kaler about the report and ask what he would like to see from this Committee. Professor Cramer thanked Professors Lytle, Oakes, and Weckwerth for joining the meeting and adjourned it at 2:10. A good start would be for the president to read this discussion. 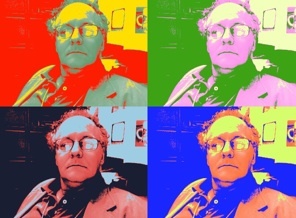 My latest post on the Chronicle of Higher Education Brainstorm blog. Remember last Friday’s presentation on University of Minnesota finances by accounting professor Howard Bunsis, an officer in the American Association of University professors? He said spending on administration was a big factor in the rise of university costs. He was confronted at the session by the U’s CFO, Richard Pfutzenreuter, who said Bunsis was presenting a misleading picture. Pfutzenreuter essentially said Bunsis had inflated administrative spending by including categories that either weren’t really administrative expenses, or were indirectly tied to instruction. Here is Howard’s response to CFO Pfutzenreiter’s objections. None of this would have changed my approach or conclusions. Let me first report some more detail which supports the conclusion that administrative costs have increased significantly over the last several years. This data is critical to rebutting any assumption that administrative costs went up for ancillary reasons. Do not (be persuaded) that there has not been an astronomical increase in administrative costs. If we take out the “accounting change” and other stuff that the CFO claims is in institutional support, then we still see a 74% increase in institutional support salaries and benefits. Per IPEDS at TC, institutional support salaries and benefits increased 114%. Notice how those increases dwarf the increases in instructional salaries and benefits. No amount of (persuading) can explain away those numbers. Now, the supplies and services part of institutional support went up quite a bit. But here is the thing; there may be some additional items in there, but this is mostly the budgets of the upper-level administrators for services, supplies, travel, etc. It will be interesting to see what that yields. Using the IPEDS data, comparing 2002 to 2009 (2010 is not yet available), the 114% increase in institutional support salaries and benefits is startling. When we get the 2010 and 2011 numbers, the same conclusion will be true: There has been a tremendous increase in administrative costs. Now, I can do a year-by-year analysis as we proceed; for now, please use this data to rebut any conclusion that institutional support increased because of extraneous factors; there are too many administrators making too much money at the U. (1) What is the cost to the University of providing undergraduate education for one year? (2) How did the administration determine the amount of undergraduate tuition increases over the past 10 years? (3) What is the percentage increase in undergraduate tuition over the past 10 years adjusted for inflation? Annual undergraduate tuition rose from $5,720 in 2002 to $11,650 in 2011, an increase of 133% (not adjusted for inflation). See p. 53 of the analysis. The administration claims that the Net Price for undergraduate education has increased an average of 3.4% over the past 10 years. The calculation of Net Price does not reflect the economic reality facing students (and their parents) because it subtracts the amount of student loans that the students and their parents will be paying off for years to come. See section (2) of $tate of the University--A Parent's Perspective . (4) What are the amounts of operating costs for research that have not been paid by grants over the past 10 years? What are the capital costs related to that research? See On The Hidden Cost of Research . (5) What pays for research, education, public service, and financial aid? This is the question proposed by U of M chief financial officer Richard Pfutzenreuter at the April 5, 2011 meeting of the Senate Finance & Planning Committee. See the final paragraph of Rube Goldberg Administration. Students (and their parents) should know how tuition is used. State legislators should know how state appropriations are used. (6) On what did the administration spend capital reserves funds over the past 10 years? The projected balance for the central reserves fund was $10.3 million by the end of fiscal year 2011 (ending June 30, 2011). The balance should have been $24.7 million to comply with the policy of the Board of Regents. See section (1) of University Inc. Part II. (7) How does the administration use the profit accumulated by the University? The U of M Operating Budget for fiscal year 2012 adopted in June 2011 shows total revenues of $3.7 billion and total expenditures of just over $3 billion leaving a net balance of $674 million for ? See p.33 of the June 20, 2011 report of the Board of Regents. (The University received an additional $25 million for its general fund in the final state appropriations. See pp. 102-103 of the September 9, 2011 report of the Board of Regents). The administration continues to carry forward from year to year this accumulated surplus of more than half a billion dollars rather than using these funds to pay expenses. Instead, the administration chooses to increase tuition, which it describes as "the revenue stream with the highest potential for significant, long term growth." See section (1) of $tate of the University--A Parent's Perspective. (8) How does the administration decide on the amount of state appropriations to allocate to the separate colleges in the University? In fiscal year 2012 the University will receive $484 million in state appropriations for its general fund (the Operations & Maintenance fund). See p. 103 of the September 9, 2011 report of the Board of Regents. The administration allocated $3.3 million to the business school and $3.6 million to the law school. See p. 81 of the June 20, 2011 report of the Board of Regents. The senior administrators at the business school and the law school claim that state appropriations pay for less than 10% of the operating budgets of those schools. The fact is that the central administration makes those allocations, not the state legislature. (9) How much will the administration spend in fiscal year 2012 on the separate categories of expenses that are classified as institutional support? Where is that information published? Chief financial officer Pfutzenreuter described those categories at the April 5, 2011 meeting of the Senate Finance & Planning Committee. See pp. 3-4 of the report of the committee. (10) What are the separate categories of expenses that are classified as research? instruction? academic support? student services? public service? How much will the administration spend on those separate categories in fiscal year 2012? Where is that information published? (11) How does the administration determine the amount of the subsidy that it will provide to the athletic department each year from the general fund of the University? In fiscal year 2010 the subsidy was $8 million; in fiscal year 2011 the subsidy was $7.8 million. See the link to the U of M budget in Expensive Icing. Note that the subsidy is more than twice the amount that the administration allocates from the general fund to either the business school or the law school. (12) How does the administration determine the priorities for HEAPR funds used to repair existing buildings? See Academic Facilities. (13) How much did the administration spend on the Office of General Counsel over the past 10 years? How much did the administration spend on outside legal representation over the past 10 years? In fiscal year 2011 the administration allocated $4.3 million to its Office of General Counsel. See p. 76 of the June 20, 2011 report of the Board of Regents. Of that amount the General Counsel paid $1.8 million to outside law firms. The administration paid an additional $4.4 million to outside law firms. See p. 15 of the 2011 annual report of the General Counsel. The General Counsel states that a majority of the $6.2 million paid to outside counsel was for insurance defense and patent and technology commercialization. What are the most expensive claims against the University? Does the University have insurance to cover such claims? Does the insurance also cover the cost of defense? 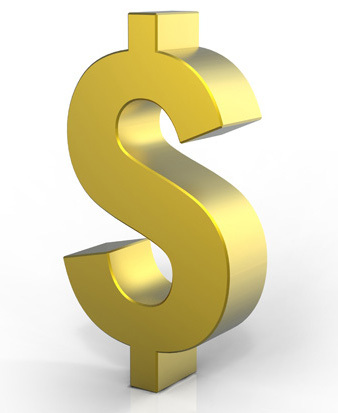 (14) How many administrators receive annual compensation and benefits in excess of $100,000? How many receive annual compensation and benefits in excess of $200,000? See On The Cost of Administration. (15) How much has the administration spent on advertising since 2007? What has the University received for this multi-million dollar expenditure? See section (2) of University Inc. Part II. (16) Should the administration be engaged in non-academic business ventures? See section (1) of University Inc. Part II and Rethinking MoreU Park. 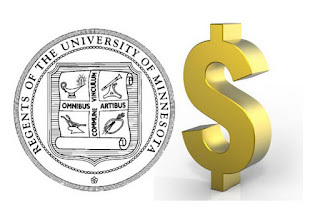 Last Friday, the University of Minnesota chapter of the America Association of University Professors brought a financial analyst to the University to take a look at the University’s budget and true financial state. The analyst, Howard Bunsis, found some eye-opening results. According to Bunsis, the University is actually in a strong financial state, a claim backed up by evidence of healthy financial ratios dealing with debt and reserve funds. Bunsis argues that the furloughs and pay cuts implemented under former President Bob Bruninks were unnecessary because of the University’s large amount of unrestricted reserve money, which could have been used to pay employees’ salaries during a temporary budget shortfall. The University’s chief financial officer has argued over how some of the numbers are calculated, but the point of Bunsis’ analysis still stands. The University administration has used an atmosphere of budgetary crisis to make cuts wherever they want and discourage protest. They provide a false narrative that cuts to academics and salaries and wages are necessary because otherwise the budget will be in crisis. Meanwhile, spending on administration continues to rise, another point Bunsis highlights in his report. The bottom line is that the University must cut its administrative spending. Spending on areas like instruction and faculty pay is being crowded out by a bloated and still growing administration. If cuts are even necessary given the University’s apparent strong financial footing, those cuts must come from administration first. Students, faculty and others in the University community should stand up to the false urgency of cuts and demand that any chopping start at the top. Well said, and the evasiveness of Mr. Pfutzenreuter over the years has been disgraceful. on par with Harvard, Stanford, and Columbia. "The review left no doubts about the office’s accomplishments — the OTC is spinning off startup companies on-par with Harvard, Columbia and Stanford universities, it concluded." What exactly does "on-par" mean? “Stanford, to no one’s surprise, ranked No. 1 in a recent global “Top Ten” of university startup communities...Rounding out the top five were the Massachusetts Institute of Technology, the University of Cambridge, University of California-Berkeley and the Indian Institutes of Technology." In the long run exaggerated claims, such as the intro quote, make the U look bad to the community... Citizens and legislators are aware of the start-up generating productivity of Stanford, Columbia, and Harvard. To claim that the U is "on-par" with them is absurd. Bunsis: #UMN has third-highest in-state tuition among peers, but among lowest for out-of-state students. Bunsis: Magnitude of state cuts to #UMN -- not debilitating. Bunsis: #UMN tuition needn't increase as it is. Cuts should be made to growing admin to control costs. Bunsis: Disturbing that #UMN instruction part of budget went from 26% in 2006 to 23.2 % in 2010. That should never go down. Bunsis: Many univ. support services that seem tied to instruction are actually admin. If #UMN differs, it needs to fully explain how. 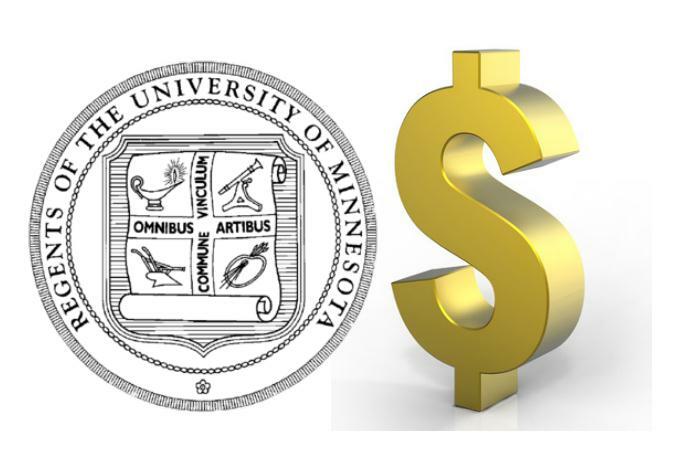 Bunsis: Instructional salaries less than 20% of total #UMN budget. Bunsis: #UMN has highest % admin spending among peers, but instruct. spending third to last. Bensis: The #UMN attitude of OMG about the financial situation needs to "chill out." Bunsis: Furloughs, pay cuts were more a political need than a financial one. #UMN needed to demonstrate to leg. that it's sharing the pain. 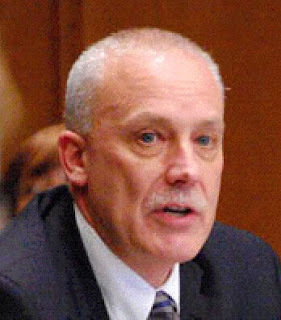 #UMN finance chief disagrees with Bunsis' use of numbers. Says he inflates admin costs by including those like advisers, libraries, etc. Fin chief won't say whether he agrees or disagrees with Bunsis' statement that #UMN furloughs, pay cuts were political, not fin need. The U has a big PR problem (again). Time to get into Morrill Hall and out of Dairy Queens? But I guess a man's gotta eat... Lunch at Big Ten? No doubt more to come on the final report of Howard Bunsis when it becomes available.